On Friday, "Michigan Calling" was broadcast via the Michigan Public Radio network to talk with Gov. Rick Snyder. He responded to a range of questions from statewide public radio listeners. 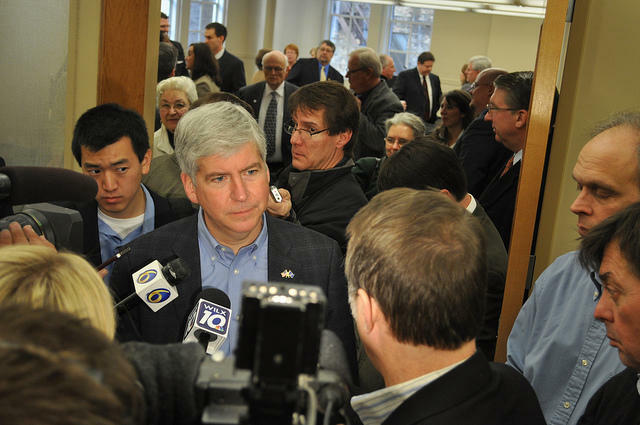 Listen to Snyder address topics related to tax, education, and public safety in Michigan. This hour-long program was hosted by Rick Pluta, the Michigan Public Radio Network’s state Capitol bureau chief. Democratic nominee Mark Schauer appeared on “Michigan Calling” on Friday, July 11. That program is available here.